The 2015 Nissan Versa is one of the most affordable vehicles in America! The 2015 Versa will save you money at the dealership, as well as at the pump! With superior 40 mpg highway* and best-in-class cabin space, there is no question why the Nissan Versa has been awarded America’s Best Selling Entry Vehicle! Stop by Carriage Nissan, located in Gainesville, GA, to see a 2015 Nissan Versa for yourself and find out what the buzz is all about! Although the 2015 Nissan Versa might have the lowest MSRP in America, they definitely did not sacrifice style and flare! Some of our favorite standard exterior features on the 2015 Nissan Versa include 15” wheels, chrome-accented multi-reflector halogen headlights, and the chrome accented grille. 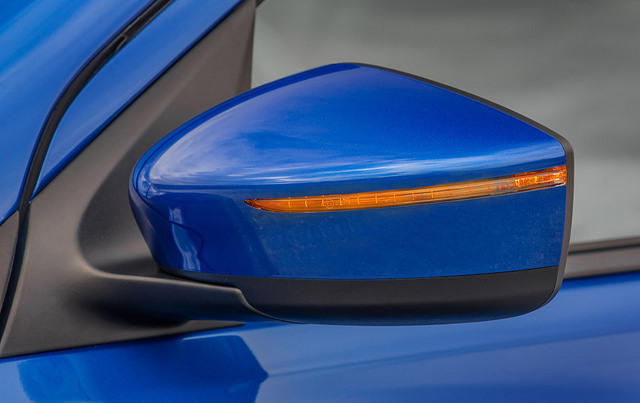 On some of the upper trim levels, you can find amazing features such as a rear spoiler with an integrated LED brake light, fog lights, and dual power body-color remote controlled mirrors. 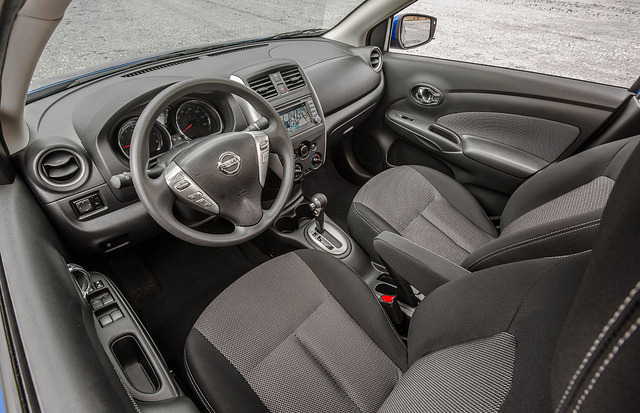 America’s Best Selling Entry Vehicle, the 2015 Nissan Versa, still has all of the interior features you are looking for in your next new car! The 2015 Versa comes standard with Bluetooth® Hands-Free Phone System, speed-sensitive volume control, and steering-wheel mounted audio controls to keep your hands on the wheel and your eyes focused on the road ahead! Some of the interior features you can find on higher trim levels include: Integrated key with remote keyless entry, USB connection port for iPod® interface and other compatible devices, and NissanConnect? with mobile apps. 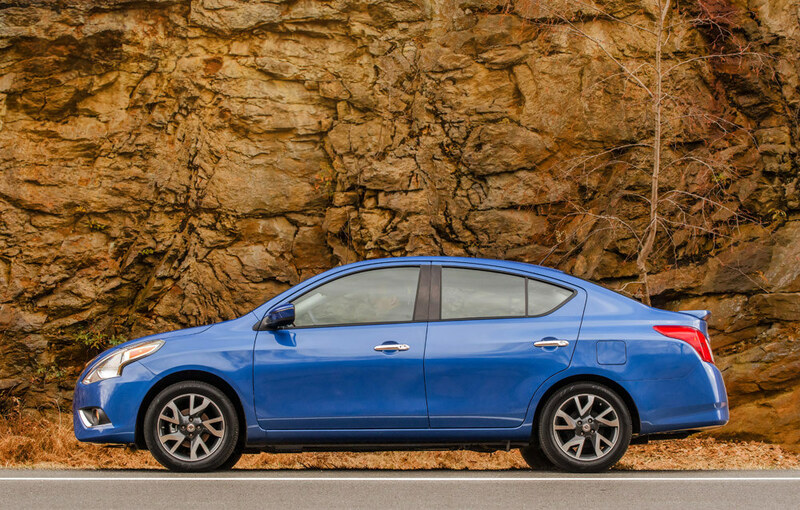 The 2015 Nissan Versa was built to keep you safe. The premium standard safety features include: Nissan Advanced Air Bag system with dual-stage supplemental front air bags with seat-belt and occupant classification sensors, driver and front-passenger seat-mounted side-impact supplemental air bags, roof-mounted curtain side-impact supplemental air bags for front- and rear-seat outboard occupant head protection, Vehicle Dynamic Control (VDC) with Traction Control System (TCS), LATCH System (Lower Anchors and Tethers for Children, and a Tire Pressure Monitoring System (TPMS) with Easy-Fill Tire Alert. Be sure to stop into Carriage Nissan and take the 2015 Nissan Versa for a spin today! With our large inventory, our team here at Carriage Nissan loves helping our customers find the perfect new car or used car for them! Please feel free to contact us if you have any questions or would like to schedule a test drive!